On the preface page of every volume of the United States Code, there appears a list of all 50 titles thereof, and some of these titles are, by means of an asterisk, designated as "positive law." Based solely upon this evidence, erroneous and palpably false arguments have been made that the titles which are not "positive law" are not law at all. The purpose of this memo is to explain and refute such erroneous contentions and to prove the real nature of the titles which are not "positive law." Pursuant to the U.S. Constitution, Congress possesses certain defined but limited powers, and to execute these powers, it has the authority to enact laws. The first Congress under the Constitution convened in New York City on March 4, 1789, and continued to sit until September 29, 1789; during that time, Congress adopted 27 separate acts. The first such act was approved on June 1, 1789, and concerned the oath of office to be administered to public servants. Subsequent to that first Congress, there have been many other Congresses which have similarly adopted acts pursuant to Congressional powers. All acts of Congress are published in a serially numbered set of books named the United States Statutes at Large. These books contains the "laws" of the United States. The adoption of Congressional acts requires action on the part of the chief executive; if the President signs a Congressional bill, it becomes law. But, the President's refusal to sign any given bill can still result in that bill becoming law. Further, an act of Congress can become "law" if a President's veto is overridden. In any event, Congressional bills which become law are published in the Statutes at Large in the chronological order in which they so become laws. Each act as it becomes law is given, solely for publication purposes, both a public law number and a chapter number. At the end of each session of Congress, all laws adopted during that session are published in the Statutes at Large. The bound volumes of these statutes are numbered as are also the pages contained therein. Finding an act of Congress is relatively simple. In a citation to a statute, the phrase, "Statutes at Large" is abbreviated to "Stat." The number which precedes the word "Stat." is the volume number of the Statutes at Large; the number following this word is the page number in that particular volume where the act in question begins. Since some acts of Congress are short, there may appear sometimes 4 or 5 separate acts on a given page. The chapter number indicates the precise act in question. To find the act of Congress cited as "12 Stat. 345, ch. 33," one would merely open volume 12 of the Statutes at Large, turn to page 345 and find chapter 33 on that page. Once this is done, it is seen that the act in question is the Legal Tender Act of February 25, 1862. An act may also be found if the only information available is the date of the act. All acts of Congress are published in chronological order by dates of approval. The binders of the volumes of the Statutes at Large not only contain the volume number, but they also bear dates. If someone desired to find the Legal Tender Act of February 25, 1862, he would examine the binders of the Statutes at Large and would inevitably find that volume 12 contains the acts for this period. By perusing through the pages of volume 12, he would locate the acts for this date; by reviewing all acts adopted on this date, he would soon find this act on page 345. Whenever Congress adopts any given act, either it or a subsequent Congress has power to amend or repeal that act. Such is done by means of a separate act of Congress, and this act will likewise be published in the Statutes at Large. If you are interested in a Congressional act and have located the one with which you are concerned, your problem concerning determining what the statutory "law" is has only just begun. From that act, you must examine all subsequent acts spanning many volumes of the Statutes at Large to determine if that particular act has been limited, amended or repealed. Thus, finding the "law" as written by Congress is an arduous and time consuming task. In the mid 1800s after several volumes of the Statutes at Large had been published, two men named Scott and Beaman published an index to the Statutes at Large. This index was an alphabetical, subject matter arrangement of all the acts of Congress and it greatly facilitated the endeavor of "finding the law." This index was generally published and revised until 1873. Between 1789 and 1865, finding the "law" as enacted by Congress involved the time consuming task of reading many Congressional acts, aided by Scott and Beaman's privately published index. Since lawyers, judges and Congressmen as well had to review some 14 volumes of the Statutes at Large in order to determine the "law," it became readily apparent that something had to be done. The solution, then, became to publish the current, valid law in one volume, preferably arranged by subject matter. That which would not be published would be acts not of a general and permanent nature, such as acts for the private relief of individuals, for the building of bridges over navigable rivers, and others of a similar nature. In 1866, Congress created a commission composed of 3 men learned in the law which was to consolidate all laws then in effect and arrange the same into subject matter categories; see Act of June 27, 1866, 14 Stat. 74, ch. 140. The men chosen for this commission were the 3 partners of Little, Brown and Company, who incidentally printed the Statutes at Large. Their task was to review all volumes of the Statutes at Large and locate all of the general and permanent laws of the United States; once this was done, these laws were to be checked to see if the same had been amended or repealed. Upon completion of this task, the work product was to be arranged into subject matter categories to be known as "titles." By 1872, the commission had completed its task and the proposed consolidation and revision of the laws produced by the commission was published in one book; this book still exists today and may be located in most law libraries. Nonetheless, Congress was not pleased with the commission's work product and thus created a Congressional committee on the revision of the laws; see Act of March 3, 1873, 17 Stat. 579, ch. 241. This committee then commenced the task of correcting the commission's work, and employed a man named Thomas J. Durant for this task. Consolidating and revising the laws of a state or nation is a difficult task, the objective being to determine what the "law" is and publish it unchanged. However, this task has been in the past not undertaken by a legislative body as a whole, but has typically been delegated to a legislative committee, which has invariably employed professionals to perform the work. Likewise invariably, those in charge of the effort must make judgments and decisions concerning what the "law" is. For example, a given act may generally or obliquely repeal "all prior laws" in conflict with that act. Determining what is indeed repealed can in such an instance be difficult and would involve the exercise of human judgment wherein an "error" can arise. A subsequent act can amend a previous act in an uncertain or difficult fashion; in such a situation, what is the "law"? Further, those in charge of the revision effort, possessing great potential to actually change the law, may in fact engage in this unauthorized conduct. In May or June 1873, the Congressional committee created as above mentioned hired Durant to revise the work of the commission. He reviewed the commission's work and deleted changes made in the law by the commission. When he completed this task, he delivered his report to the Congressional committee. Thereafter, he drafted a bill, the purpose and object of which was to secure the adoption of the revised laws of the United States as reflected by both the commission's work and his report. In January, 1874, H.R. 1215, a bill to revise, codify and enact the Revised Statutes into law, was introduced into the House by the committee on the revision of the laws. It was decided that the bill would thereafter be debated, pursuant to special order, during evening sessions twice a week. After several months of such debating and amending of the lengthy bill, the House adopted the measure. When this bill was presented to the Senate, it adopted it in a single day. The numerous debates on this bill and its passage through both Houses can easily be determined by examining the Congressional Record index for this bill. President U.S. Grant approved the bill on June 22, 1874. At the same time that the bill to adopt the Revised Statutes was being considered by Congress, it also adopted a law providing for the printing and publication of the Revised Statutes. On June 8, 1874, H.R. 3652, which was the bill providing for such printing, was adopted by the House; the Senate quickly amended and adopted this measure on June 16, 1874, and the House concurred in such Senate amendments on the same day. This bill was approved by President Grant on June 20, 1874; see Act of June 20, 1874, 18 Stat. 113, ch. 333. While the law providing for the printing and publication of the 1873 Revised Statutes appears in the Statutes at Large, the same does not contain any notation or reference to the act adopting the Revised Statutes. Apparently, this act of June 22, 1874, was immediately sent to Secretary of State Hamilton Fish for the purpose of publication. Fish apparently took the commission's work published in 1872, Durant's report concerning the revised laws and the amendments made by Congress, reconciled all of this material and then published it. On February 22, 1875, Fish published the 1873 Revised Statutes of the United States. It is only an assumption that holds that Fish's publication of the Revised Statutes is the same as that adopted by Congress as H.R. 1215. While today we have access to the commission's work published in 1872, the report of Durant, evidently before Congress and considered as a part of H.R. 1215, cannot be located or found today . We know that Durant substantially corrected the 1872 commission report and what was before Congress was both the commission's and Durant's report. The Congressional Record did not record the entirety of H.R.1215 but only amendments made to this bill. Thus, we can only assume that Fish published H.R. 1215 as the 1873 Revised Statutes adopted by Congress. Can anyone produce the enrolled bill H.R. 1215 adopted in 1874? The 1873 Revised Statutes had 74 titles contained therein and purported to contain all U.S. laws of a general and permanent nature, however accurate. Title 74 contained provisions to repeal all prior law. The Revised Statutes were assumed by everyone to be the "law" notwithstanding the glaring fact noted above concerning the actual existence of the bill passed by Congress. When the Revised Statutes were printed in 1875, it became obvious to many that "errors" were abundant. These "errors" could have been inadvertently or mistakenly made or could have been created with deliberate design . To correct these errors, Congress adopted an act correcting some of them; see Act of February 27, 1877, 19 Stat. 240, ch. 69. Going further, Congress authorized the publication of a corrected revision of the entire Revised Statutes; see Act of March 2, 1877, 19 Stat. 268, ch. 82. At first, this corrected revision was to be the "legal and conclusive evidence" of the law just as the first edition of the Revised Statutes was purported to be. However, on March 9, 1878, Congress changed its mind and amended the Act of March 2, 1877, so that the second revision of the Revised Statutes would only be "prima facie" evidence of the law; see Act of March 9, 1878, 20 Stat. 27, ch. 26. The 1873 Revised Statutes became the foundation for all the general and permanent laws of the United States; it was the "law" which was in effect on December 1, 1873. The second edition of the same, the Revised Statutes of 1878, did not have the same effect since the contents thereof were only prima facie evidence of the law, and prima facie evidence of the law can be impeached by showing what the "law" really is by referring directly to the Statutes at Large. Between 1878 and 1921, the volumes contained in the Statutes at Large had grown to 40 in number. Once again, finding the "law" was a difficult task requiring reference to the Revised Statutes and all of the volumes of the Statutes at Large adopted since the 1870s. In 1919, the chairman of the House Committee on the Revision of the Laws, Colonel Edward Little, commenced another project to consolidate and revise the laws. He obtained Congressional approval for his much needed project which authorized the printing of a volume of revised laws; see Act of December 23, 1919, 41 Stat. 370, ch. 13. When this was done, Colonel Little made, before his death in 1924, 3 attempts to enact the revision of the laws he had compiled. Each time, the House resoundingly adopted his bills, but the same invariably were rejected in the Senate. Little's effort encompassed putting all the "law" into one volume, then enacting that volume as law, and repealing all prior laws. According to the senate debates, these efforts were rejected due to perceived "errors" contained in Little's version of the law. Colonel Little's report on his revision reveals much. He was apparently a very honest and forthright individual. His objective was to carefully and accurately compile all Congressional laws without "doctoring" the product. But, in doing so, Congress would look foolish because of such things as amending statutes which had been previously repealed or reconciling two "laws" on the same subject which were vastly different if not diametrically opposed to each other. Further, by carefully stating the "law" and remaining aloof from those special interest groups who desired to modify the "law" in a fashion so that secret changes were made in the law, one does not acquire important and powerful friends. The reason for Senate rejection of Little's compilation of the law can be one of two things. Either Little was himself "cooking" the law and therefore making secret changes thereof which the Senate did not like, or else the Senate itself wanted to engage, with its friends and supporters, in this surely conspiratorial conduct and Little was opposed to it. Whichever side wanted to pursue this activity was definitely allied with various government agencies, particularly the Treasury Department, which wanted to take the opportunity to insure that the revision resulted in a desired but carefully concealed change in the "law." After Little died, the House continued his endeavor to codify the law. Perhaps with Little gone, the forces who wanted to use revision to secure a change in the law had greater influence upon the House committee on the revision. And perhaps those who had influence with the House committee were different from the friends of the Senate; this would make the Senate skeptical of the work of the House since the bill wouldn't bear the stamp and imprint of the friends of the Senate. But, on April 19, 1926, Congressman Fitzgerald introduced into the House H.R.10000, which was a bill to "consolidate, codify and reenact the general and permanent laws of the United States." This bill, consisting of 1705 pages, contained what appeared to be all the general and permanent laws, and these laws were placed into 50 separate titles, the ones we have today. The object of the bill was to place all the "law" into one volume and repeal all previous acts of Congress inconsistent therewith or covered thereby. On this day, the House adopted the bill without recording the vote count on the bill; see Congressional Record for this date, pages 7787-7793. On June 2, 1926, H.R. 10000 was introduced into the Senate, although no action was taken on the bill on this date; see Congressional Record for this date, pages 10478-10484. On June 23, 1926, the Senate consented to debate and consider the bill on June 25; see Congressional Record for this date, pages 11799-11801. On June 25, 1926, H.R. 10000 was debated and considered by the Senate, which was opposed to "consolidating, codifying and reenacting" the laws; all its members wanted to do was make the revision of the laws only prima facie evidence of what the "law" was without repealing the underlying statutes. Since the Senate wanted the revision of the "laws" to be only a reflection of the statutes, and wanted to keep the statutes in effect, it amended the bill by striking out the repeal provisions and changing the word "reenact" in the bill to the words "set forth." Once these amendments were made, the Senate adopted H.R. 10000; see Congressional Record for this date, pages 11963-11972. The next day, the House considered and accepted the amendments made by the Senate; see Congressional Record for June 26, 1926, pages 12074-12076. This act became law on June 30, 1926; see Act of June 30, 1926, 44 Stat. 777, ch. 712. Another law was also adopted which authorized the printing of this new code; see Act of June 30, 1926, 44 Stat. 778, ch. 713. This act which created the 50 titles of the United States Code is still in effect and is the foundation for the current design of the United States Code. The act did not repeal any prior laws or attempt to replace them. The titles and code sections contained therein were only made prima facie evidence of the laws of the United States. Their use was suitable in court, but they could be impeached by showing what the underlying statutes were and that the code sections were different from the statutes; in such event, the statutes controlled. This condition prevails today for those titles which are not positive law, and the same titles, or any particular section thereof, can be impeached by showing a difference between the title or code section and the underlying or supporting statutes; see Preston v. Heckler, 734 F.2d 1359, 1367 (9th Cir. 1983); and Rasquin v. Muccini, 72 F.2d 688 (2nd Cir. 1934). To demonstrate the above principal of the statute controlling the operation of a code section, a simple example should be sufficient. Imagine that Congress in a particular year adopts a lengthy law, comprehensive in nature, concerning a particular subject. The act itself may be divided into "titles" and "chapters." Further, assume that certain sections of this act make reference to particular titles of that act. The sections which concern the broad subject matter of individual titles in the act would have a definite meaning. A few years after the adoption of this law, a problem arises which causes Congress to adopt a shorter act on the same subject. But, this short act is designed for a specific problem, and the act is not divided into titles, but only comprises a single chapter. Sections in this act use the word "chapter" to show that the sections themselves apply only to this act. 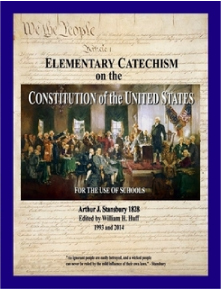 After the adoption of these two laws, the two laws are compiled, placed into a title and the revisors of the title change the word "chapter," as it may appear in various sections of the latter of the above acts, to the word "title," this being done for the alleged purpose of consistency. For anyone reading the "title" itself, the short act would appear to apply not only to both of the above acts but also to the entire title. This is not simply a hypothetical example; it has occurred in the various titles of the U.S. Code. An important fact which must be noted in reference to the act of 1926 which created the 50 titles concerns legislative terms of art. The phrase, "consolidate, codify and reenact," when used in various acts of Congress, denotes that the act in question is designed to replace existing law. In contrast, the phrase, "consolidate, codify and set forth," considering the use made of this phrase in the 1926 act, has a different meaning and denotes that the act is not designed to replace any existing law, but is made only for the purpose of stating what the present or current law, or the law as of a specific date, is. After the adoption of the law creating the 50 titles, Congress continued to adopt other laws, or repeal or amend laws, covered in the 50 titles, none of which were "positive law" titles. The subsequent legislation in this respect properly belonged in the titles. To accomplish the inclusion of this new law in the titles, Congress adopted an act which authorized the House Committee on the Revision of the Laws to publish supplements which codified the new law and placed the same into the titles; see Act of May 29, 1928, 45 Stat. 1007, ch. 910. This process continues today and all new laws of a general and permanent character, whether they amend or repeal acts reflected in the titles, or add new matter, are incorporated into the appropriate titles of the U.S. Code; see Title 1, U.S.C., § 204; and Title 2, U.S.C., § 285b. The first edition of all the titles was printed and placed into the Statutes at Large in a separate bound volume; see 44 Stat., part 1. In the next 15 years, the supplements to these titles were published in separate bound volumes and were labelled Supplements I through VII. These supplements are extremely important to show changes made in the titles, yet most libraries discarded these supplements long ago. In the early 1940s, the U.S. Code began to be published as a separate set and these sets are republished every 4 years. The official U.S. Code prints only the titles and sections therein without any annotations. The private law publishers, such as West and Lawyers Co-op, likewise print the U.S. Code except these versions of the Code contain annotations following each section in the Code. The annotations are invaluable for research purposes and this is the reason why the private editions of the U.S. Code appear in libraries more frequently than the official U.S. Code: they are more popular and useful. While Congress adopted the titles and made the same only prima facie evidence of the law, it had a clear intent that the process of revision would continue, various titles could be clarified, and eventually some or all of the titles would be enacted into law as positive law. This process began in 1947 and continues through today; see Title 2, U.S.C., § 285b. Title 31: Act of September 13, 1982, 96 Stat. 877, P.L. 97-258. A review of the enacting clauses of each of the above acts which enacted titles into law shows that either the phrase, "codified and enacted," or the phrase, "revised, codified and enacted," was utilized to secure enactment of such titles. In summary, the United States Code is composed of 50 titles, with each title containing the laws of a general and permanent nature in reference to one topic of law. Some of these titles, those designated and enacted into positive law, are the laws concerning those topics. The remainder of the titles are merely evidence of the law and constitute only a compilation of the laws concerning any given topic; these titles are mere reflections of the underlying statutes and the real "law" in reference thereto are the underlying, supporting acts found in the Statutes at Large; see 1 U.S.C., § 204. Presently, there are individuals within the patriot community who contend that the titles which are not positive law titles are not laws at all, with particular emphasis being placed upon Title 26, U.S.C. (the Internal Revenue Code). This contention is nothing new, being simply the resurrection of an argument which first gained some circulation 12 years ago, which was soon found to be totally meritless. The parties who propagate this argument lack the ability to perform the most basic research in a law library; if they had such capability, they would have discovered that this precise argument was soundly rejected in United States v. Zuger, 602 F.Supp. 889 (D.Conn. 1984), affirmed on appeal in an unpublished opinion at 755 F.2d 914 (2nd Cir. 1985). In Field v. Clark, 143 U.S. 649, 12 S.Ct. 495 (1892), the Supreme Court declared that the laws of the United States were really the enrolled bills, signed by the President and deposited within the Archives. The Court adopted what is commonly referred to as the "enrolled bill" rule. In the 1920s, the number of "errors" so made was stated to be more than 2000.